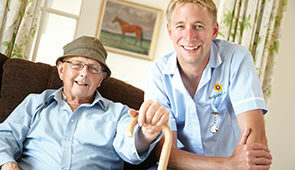 Acquire Care exists to supply helpful and friendly care services to enable you to enjoy living in your own home. Nick Boers, the owner, has a vision of providing the best home care possible. He is committed to helping people enjoy living in their own homes. 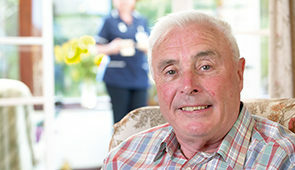 He believes that the care provided should be of the quality that he would like to receive. There is an excellent team in the office located in Oxford, Oxfordshire. The head of the team is the Registered Manager who brings a wealth of experience to the Company, having worked in Domiciliary Care for many years. The carers are chosen via a comprehensive selection process. Only the carers with the highest communication, commitment and dedication skills are recruited. Acquire Care can help and support you. We employ the carers so that you do not have to worry about any employment tax, insurance, holiday or other employer’s liabilities. 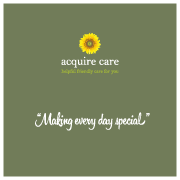 To find out how Acquire Care are "Making every day special" click here. You may decide that only a small amount of help is needed. By offering a range of care services, Acquire Care is able to make your wish of staying in your own home, amongst your family and friends, a reality.